It took some smart work from Monu Goyat in the closing seconds to give Haryana Steelers a 35-33 win over Bengal Warriors in a tense match at the Thyagaraj Sports Complex in Delhi on Wednesday. 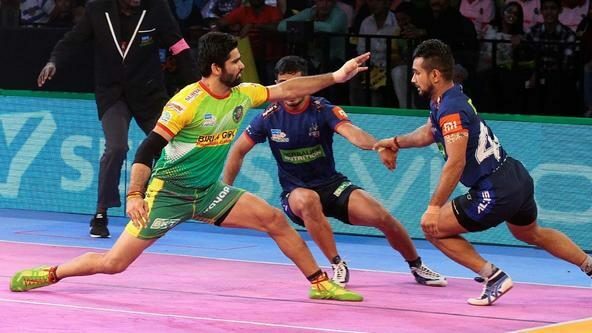 Goyat ended up as the most successful raider for Haryana Steelers with 12 raid points while Maninder Singh led the way for Bengal Warriors’ offence with a Super 10 of his own. The Bengal Warriors’ raiders were relentless early on, with Maninder Singh striking early, followed by Mahesh Goud. However, the Haryana Steelers’ defence fought fire with fire and capitalised on that early aggression to keep their team level by putting in some strong tackles. 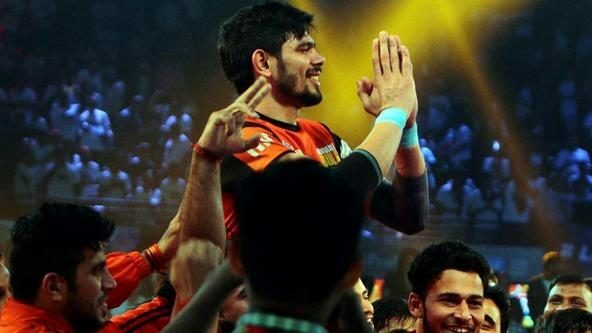 Once Vikash Khandola and Monu Goyat started getting in on the act, though, it wasn’t long before Bengal Warriors got reduced to two players on the mat. Baldev Singh then managed to get enough of a grip on Vikash Khandola’s ankle to allow Ran Singh to come in and complete a Super tackle and get their team ahead 11-10. 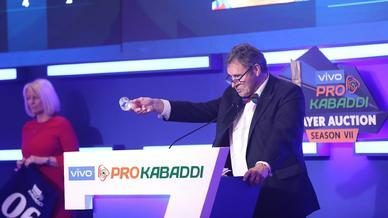 But the Haryana Steelers’ defence continued to shine and tackled Goud before Goyat cleaned up the house with a 4-point raid that inflicted the All-Out on Bengal Warriors in the 16th minute to take his side 15-11 ahead. Khandola took control of proceedings from there and added three more points his tally to back up the team’s inspired defence, giving Haryana Steelers a 19-12 lead at halftime. The second half saw Amit Nagar successfully breaching the Haryana Steelers defence and returning with a point to his name in two successive raids. However, Goyat and Naveen took their team 8 points clear of Bengal Warriors before they struck back by sending Khandola and Naveen to the bench in quick succession. With momentum on their side, Bengal Warriors managed to bring the deficit down to just three points before Maninder Singh avoided a Super Tackle and inflicted the All-Out to level the scores at 22-22. 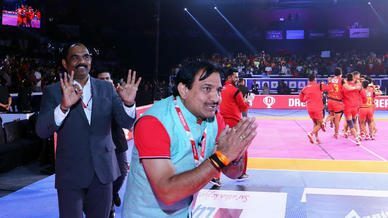 Both teams kept picking up points from there before Bengal Warriors surged ahead by two points through Ravindra Ramesh Kumawat’s quick raids and reduced Haryana Steelers to three men on the mat. However, Haryana Steelers got a Super Tackle in on Maninder Singh through Parveen’s strong Ankle Hold and avoided the All-Out. Inspired by that Super Tackle, Haryana Steelers held on to keep the scores level at 30-30 with everything to play for in the last couple of minutes. A touch point by Goyat to send Ran Singh to the bench followed by a strong team effort by the Haryana Steelers’ defence to hold down Maninder Singh gave them a 32-30 lead with a minute still left on the clock. Bengal Warriors forced a Do-or-Die raid on Haryana Steelers in the dying seconds but ended up conceding three points after Goyat, seeing that he was surrounded, smartly stepped into the lobby without a touch and was followed by three defenders. From there Haryana Steelers just conceded one point in the final raid of the match to clinch a 35-33 victory in the match.